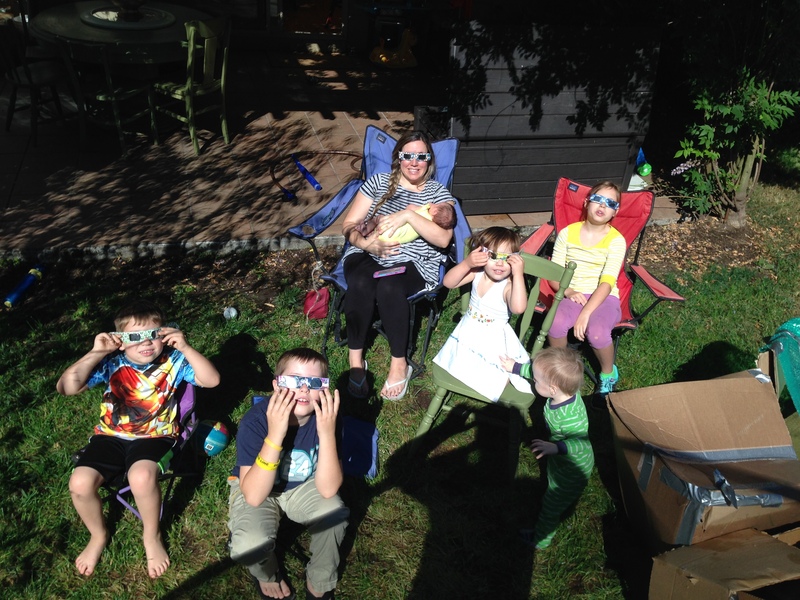 Home › Blog › Where Were You During the Full Solar Eclipse of 2017? Where Were You During the Full Solar Eclipse of 2017? I was in my backyard hosting an eclipse party. Really, it was only our family but when there are eight of you, it’s always a party. We had a great time sitting in the eerie light and looking heavenward. I hope wherever you were, you enjoyed the experience too. I also hope that the darkened sun reminded you of another day, as it did the author of the article below (as she anticipated the eclipse). Annette shared it with me and I’d like to share it with you. There is so much excitement and anticipation around the eclipse coming up on Monday. I mean, what’s not to love! The moon blocking out the sun and darkness in the middle of the afternoon! It’s a phenomena that the whole country is anticipating (and hoping to have the right glasses to view). But could I tell you about another day that the sun was darkened and refused to shine? It was the darkest day in history 2000 years ago when the Son of Man was hanging on a cross. The scripture gives this account in Mark 15:33-34: “At noon, darkness came over the whole land until three in the afternoon. And at three in the afternoon Jesus cried out in a loud voice, “Eloi, Eloi, lema sabachthani?” (which means “My God, my God, why have you forsaken me?” The sun was darkened for three hours as the Father turned away from the Son. For the first time in all of eternity there was a separation of the Father and the Son. Our finite minds can’t comprehend such love for us that God would sacrifice His Son. And why would the Son willingly give His life for the sins of the whole world? It’s beyond our human comprehension. Darkness in the middle of the day. Creation mourning the killing and death of the Lord of Creation. But praise God it didn’t end there…not in darkness! The darkest day in history was turned into a glorious daylight as the Son arose on the third day! Salvation was complete. Years from now, when you think of the solar eclipse of 2017, be reminded that 2000 years ago, Jesus fully eclipsed the darkness and He continues to do so. So keep looking heavenward, basking and walking in the light of the Son.